Bolton is a small village north of Appleby-in-Westmorland. Set into the north wall of the parish church of All Saints is a relief carving thought to be unique in England. 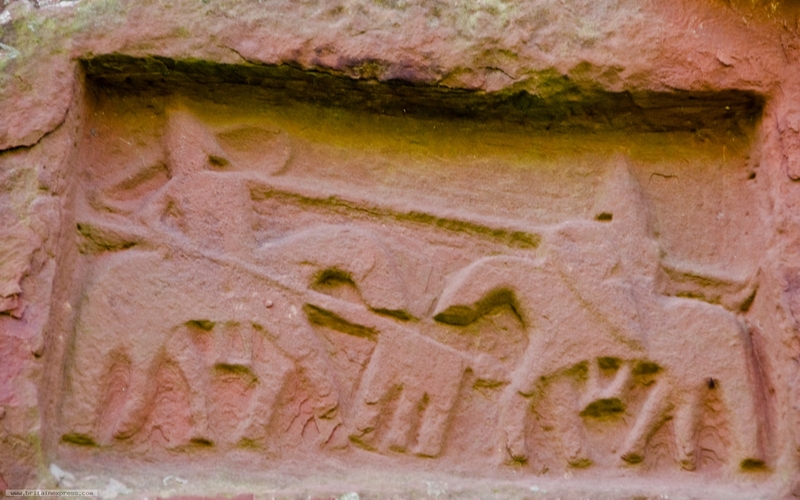 It shows two knights engaged in combat, and dates to the late 12th century. It may be that the carving commemorates a joust held near here under the sponsorship of Sir Lawrence De Vere.